The decision to allow your beloved companion to undergo surgery is never an easy one. At One Love Animal Hospital, we strive to ensure your pet’s procedure is as comfortable and stress free as possible. All of our veterinarians are trained, skilled, and experienced veterinary surgeons that approach this aspect of their profession with a deep sense of compassion for every patient. The most important pre-surgical step we take is to discuss with you why we believe a particular procedure is necessary and what it entails. Post-operation, our doctors and staff will provide you with information on proper post-operative care and answer any question you may have. Here at One Love Animal Hospital, we believe it is important for you and your pet to receive care in a friendly and welcoming facility from people you have both come to know in order to reduce stress and promote healing. 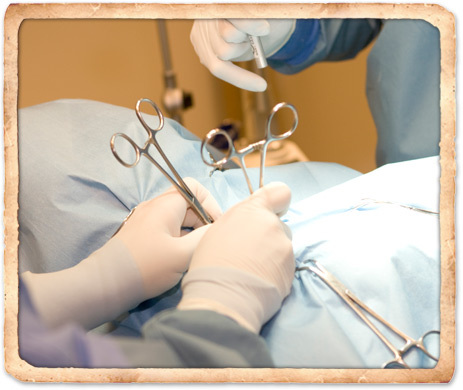 Therefore, we strive to offer a wide array of surgical services from our facility. Monitoring is extremely important while a pet is under anesthesia - including EKG, blood pressure and pulse oximeter monitoring. Anesthesia protocol at One Love Animal Hospital is decided upon at the time of surgery based on individual patient needs. Ensuring the health and safety of your pet during surgery is of the utmost importance to us and requires an anesthetic and monitoring regimen that adheres to the highest principles and ideals (AAHA) of veterinary medicine. At One Love Animal Hospital, your pet has access to state-of-the-art anesthetic administration and cardiovascular monitoring performed by our skilled professionals. 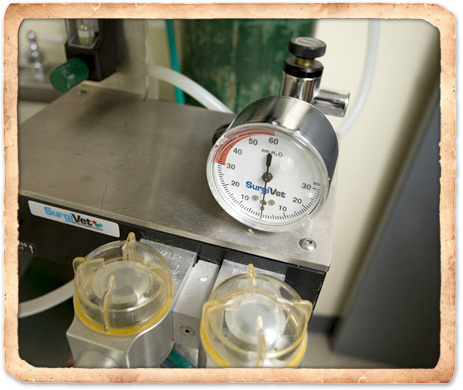 We use the safest, most effective anesthetics on the market today. While under anesthesia your pet is cared for by a well-trained and experienced veterinary technician using our monitoring system, which tracks blood pressure, heart rate, respiratory rate, body temperature, and oxygen level.